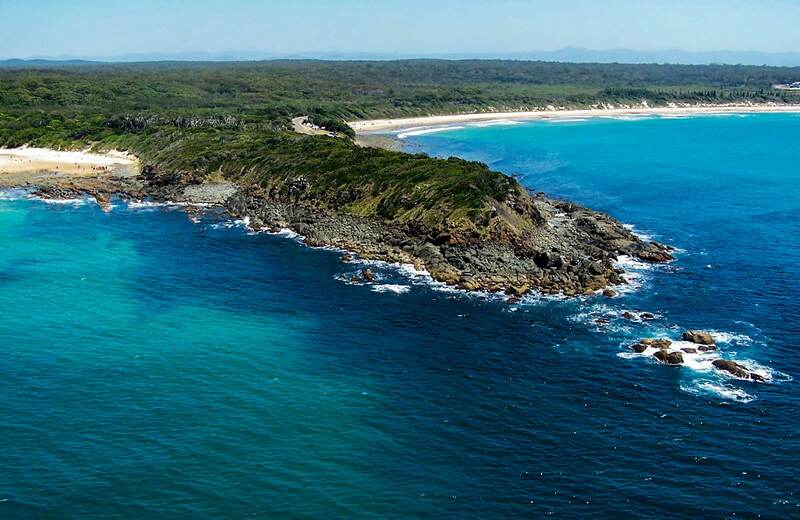 This gorgeous coastal walking track follows a part of the Saltwater National Park coastline that is rich in Aboriginal history with great spots for swimming, fishing, surfing, and sailing, near Taree. Experience the beauty of coastal landscape on Five Islands walking track as you explore the surrounding salt and fresh water environments. Setting out from Saltwater picnic area, this flat to gently rippled walk meanders through coastal heath and paperbark swamp before it crosses over Saltwater Gully, where you’ll enter Khappinghat Nature Reserve in the west. 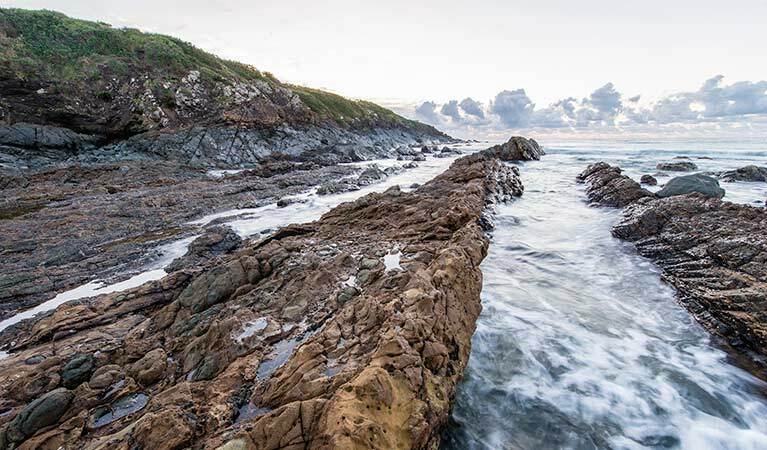 Aboriginal heritage is plentiful at Saltwater National Park, and along this walk you'll see traces of their heritage in the form of scarred trees, middens and fish traps. Saltwater Gully forms part of a system of waterways which means you’ll experience rainforest, mangroves, salt flats, sedge and wetlands, all in one walk. Khappinghat Creek, where you can see the 'five islands', is the largest area of undeveloped wetlands and the only naturally opening and closing estuarine system on the mid north coast of NSW.